Awaken your sense of adventure. 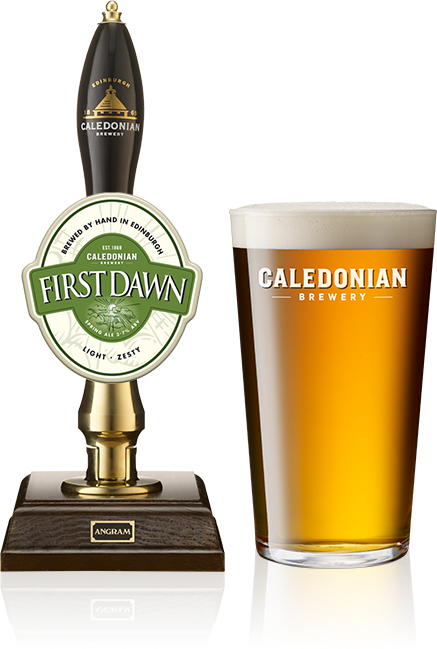 After a long winter there’s nothing more refreshing than a taste of First Dawn. Breathe new life into your springtime exploits with a burst of flavour from this well-hopped session ale. We’ve brought together two definitive American hops for their citrus and pine qualities. Chinook and Summit hops enhance this pale malt with grapefruit and mango undertones, adding spicy aromas and a dark soft fruit flavour. As the days get longer and brighter, this carefully crafted beer is a great accompaniment to Sunday roasts or meat and cheese platters.